A keloid is an overgrown scar that develops at the site of injury, above the level of skin. Keloids can appear anywhere on the body but face, upper chest and back, shoulders, earlobes breastbone are more vulnerable to these scars. 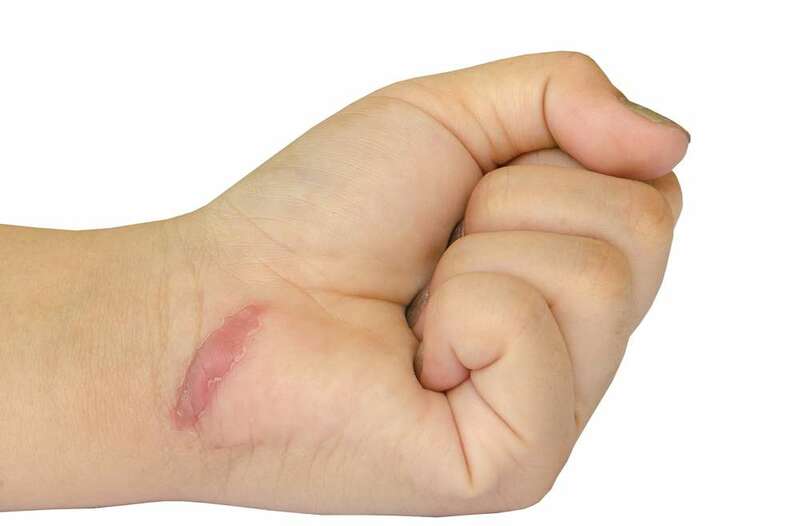 Keloids usually develops in some people when the skin exaggeratedly responds to an injury. Piercings, surgical incisions, burns, tattoos, chickenpox and insect bites are some of the common reasons of these scars. Generally, the color of keloids is slightly pink at the early stage and turns darker than the rest of your skin over the time. When consistently rubbed with your cloths, the keloids grow larger and become itchy and painful. Keloids can be treated through a wide variety of methods including cortisone injections, cryosurgery, pressure dressing, laser treatment and radiation surgery. Dr. Hiyad Al-Husaini utilizes modern and techniques to remove Keloid. She will take into account the factors like nodule size, its location and depth and your health condition and age and decide which the most suitable method for removing the scar is. Sometimes, a combination of treatments is used to remove the keloids.